Just bought a pair of Jamie's 'double' cubes from eBay. Looking forward to receiving them; I've been seriously short of record storage space for far too long. Expect I shall be wanting more in the near distant future. Cheers Barry these will be with you Tuesday. 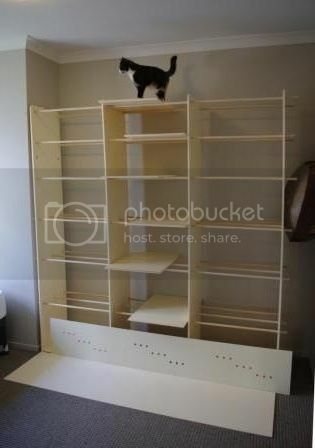 I built some shelves for my missus. 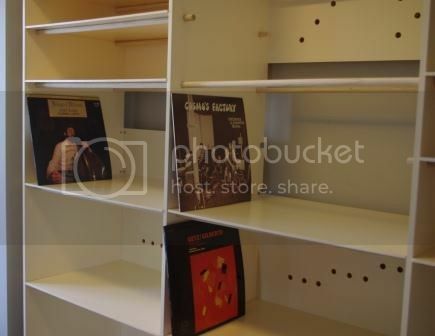 It was only when I was finished that I noticed that they were very suitable as record shelves. This is Skinny checking them out. The whole thing is made from sheets of 6mm mdf and 12 mm mdf (for the columns), and 16 mm dowel. At the back are some panels to give it rigidity. They can be attached with panel pins (very small nails) or angle brackets. The only 'exotic' equipment is a drill with a 16 mm drill bit. 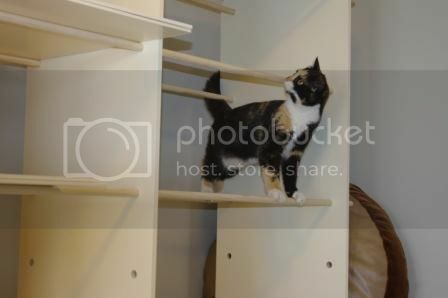 The shelves simply lie on the dowel. The whole concept is blindingly simple and it is easy to make your own measurements. They are 65 mm deep which is deeper than necessary for records. But as mentioned I only thought about the possibility after the build. Also one could use attractive timber rather than mdf, but that will add to the cost. Yep, I have an o/s order with Jamie, looking forward to taking delivery, got a bespoke box to hold my Led Zeppelin super deluxe collection, will look the dogs. Can someone post a link to the ebay shop please, that one in Andre's first post doesn't work. Ta. 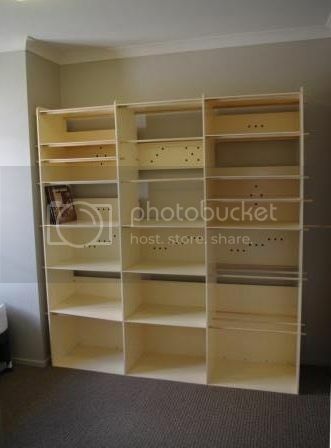 Are these Birch plywood open ended boxes/shelves ? 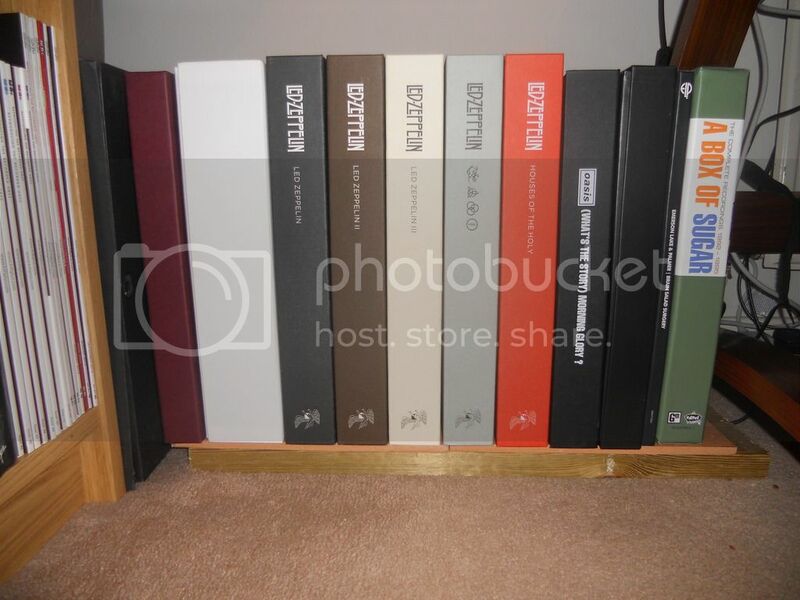 Theses are IKEA, Billy range, I use for my book collection.